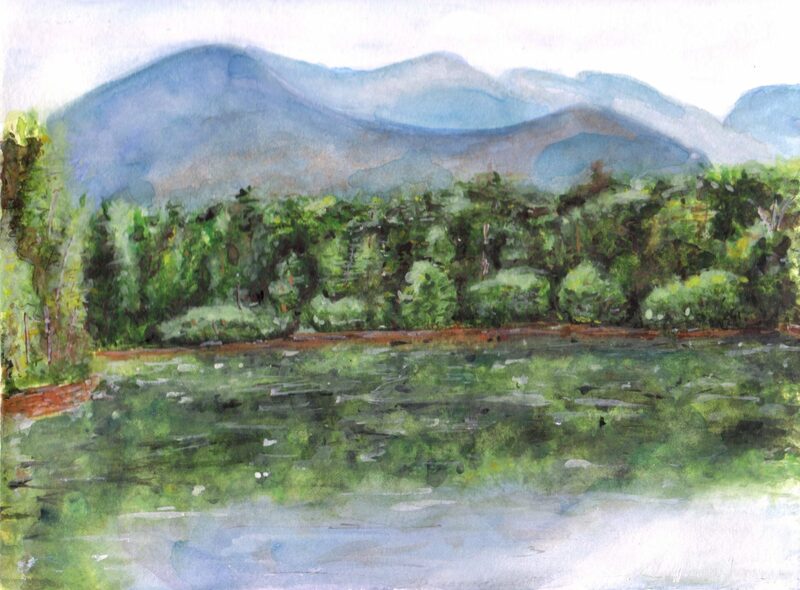 Angela Faustina, Camp Barney Lake Louis watercolor landscape painting, 2017. Watercolor on paper, 8″ by 6″. 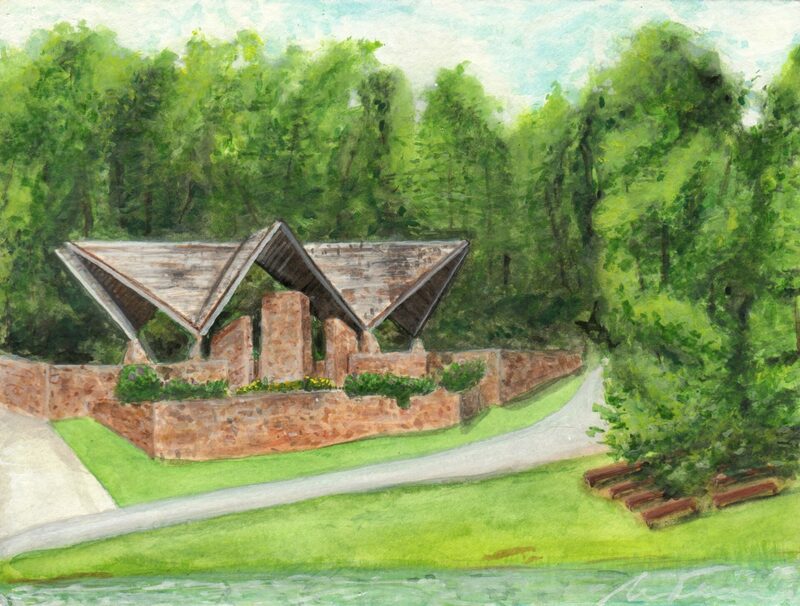 Angela Faustina, Camp Barney Chapel, 2017. 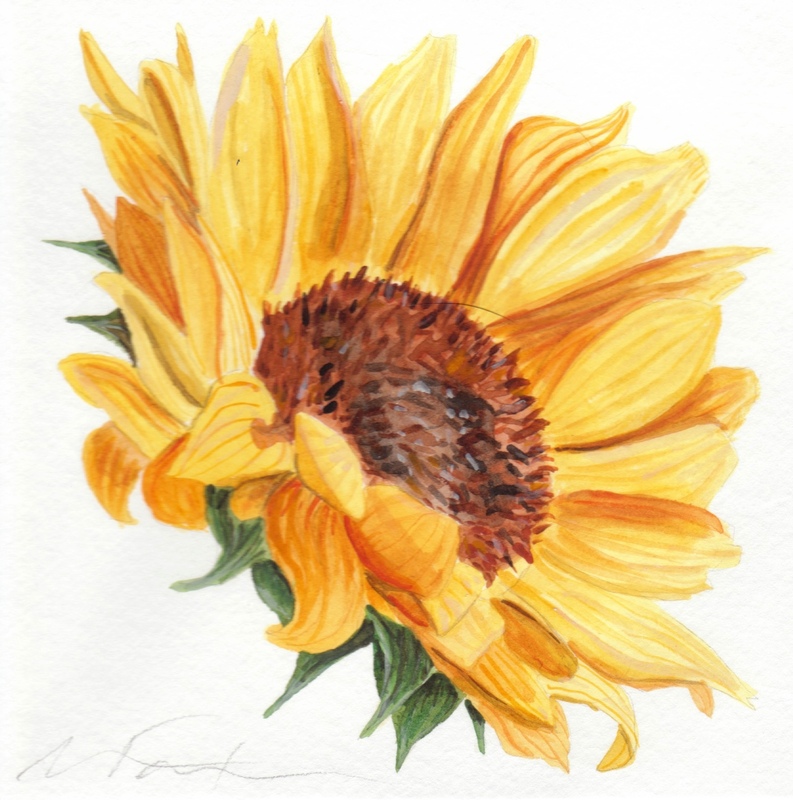 Watercolor on professional watercolor paper, 8″ by 6″. 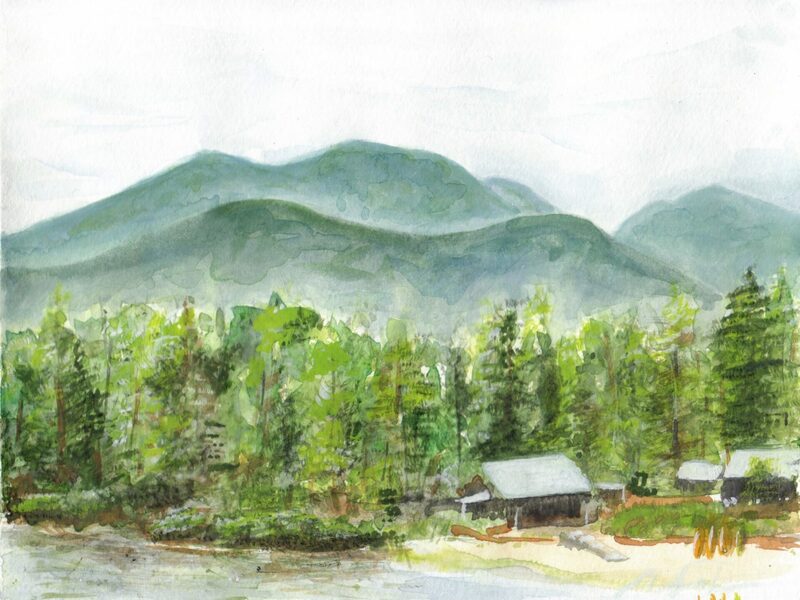 Angela Faustina, Camp Barney Beachfront watercolor landscape painting, 2017. Watercolor on paper, 8″ by 6″. 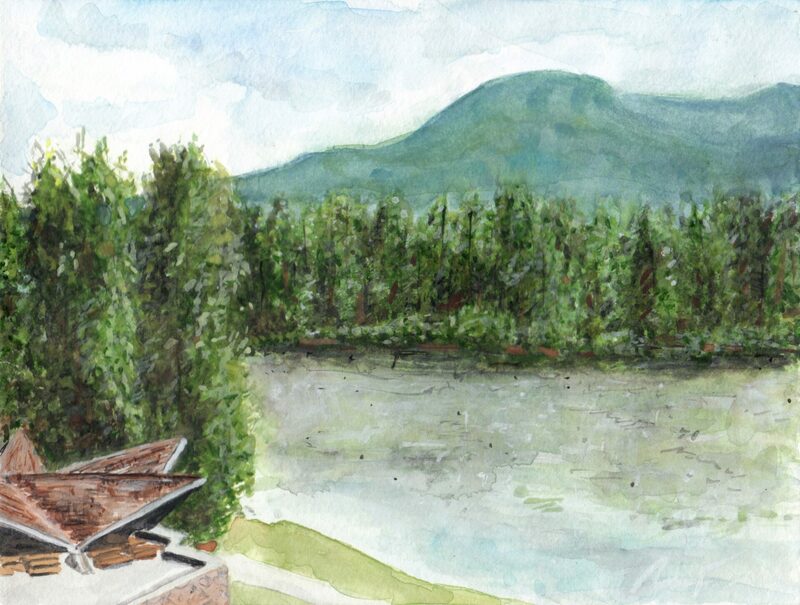 Angela Faustina, Camp Barney Chapel watercolor landscape painting, 2017. Watercolor on paper, 8″ by 6″. 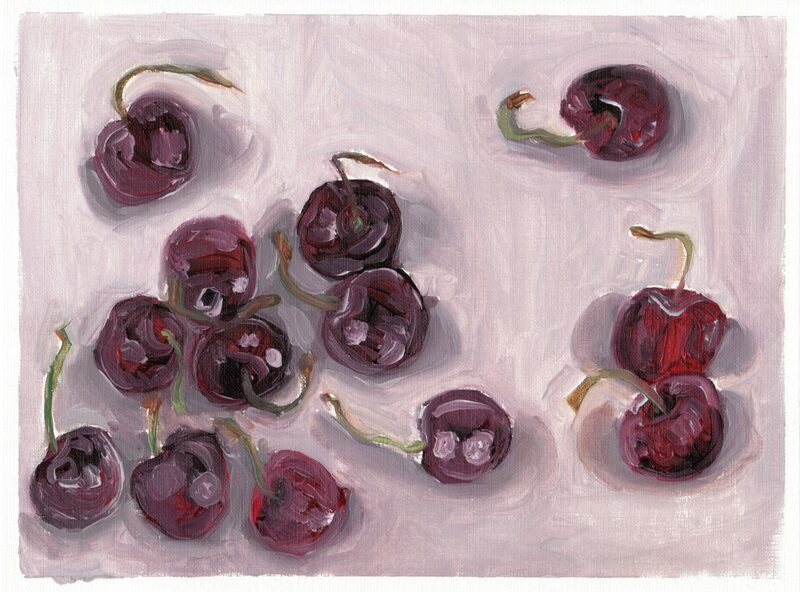 Angela Faustina, Cherries study, 2016. Oil on canvas paper, 10.75″ by 8″. 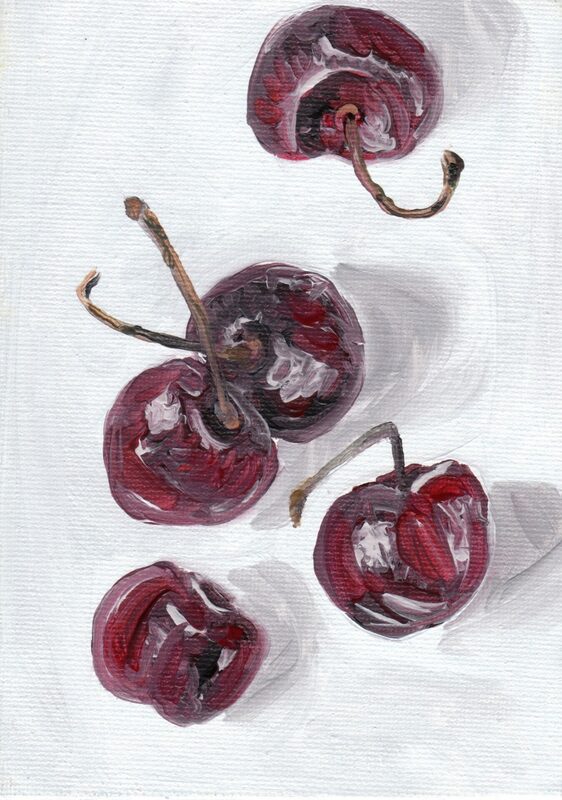 Angela Faustina, Cherries study, 2016. Oil on canvas panel, 5″ by 7″. 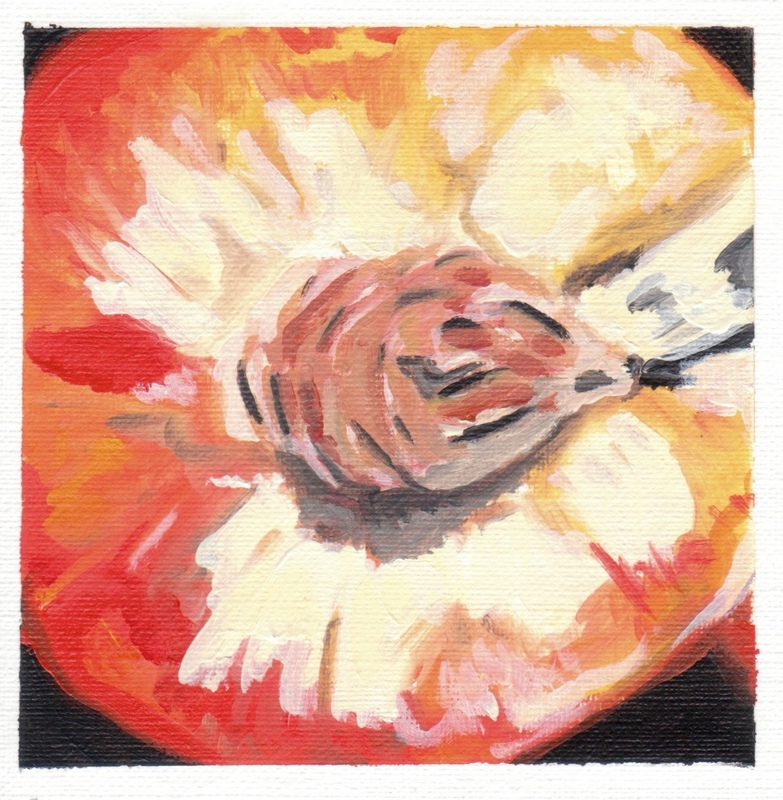 Angela Faustina, Georgia peaches study, 2016. Oil paint on canvas paper, 3 7/8″ by 4 1/16″. Angela Faustina, Georgia peaches study, 2016. Oil paint on canvas paper, 12″ by 6″. Angela Faustina, Georgia peaches study, 2016. Oil paint on canvas paper, 4″ by 4 1/16″. Private Collection. Angela Faustina, Orange study, 2016. Oil on canvas paper, 12″ by 6″. Angela Faustina, Orange study, 2016. Oil on canvas paper, 12″ by 6″. Private Collection. 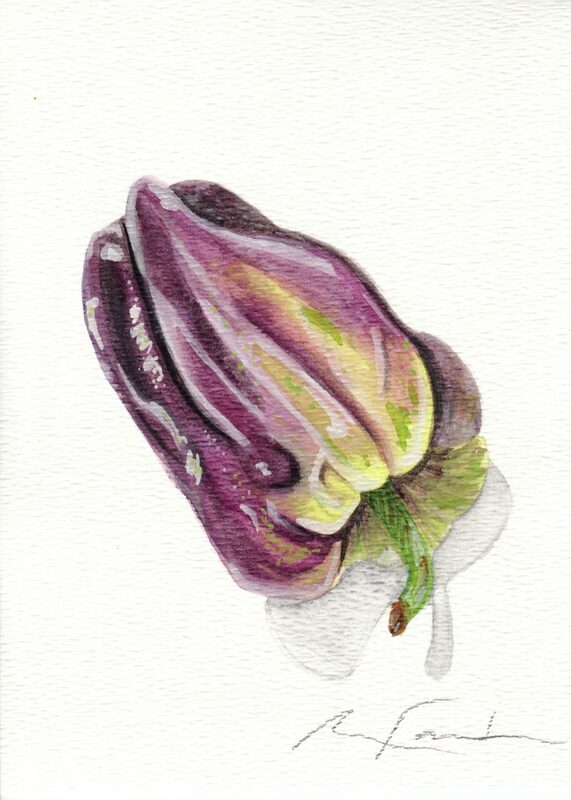 Angela Faustina, Purple Holland bell pepper study, 2016. Watercolor on paper, 5″ by 7″. 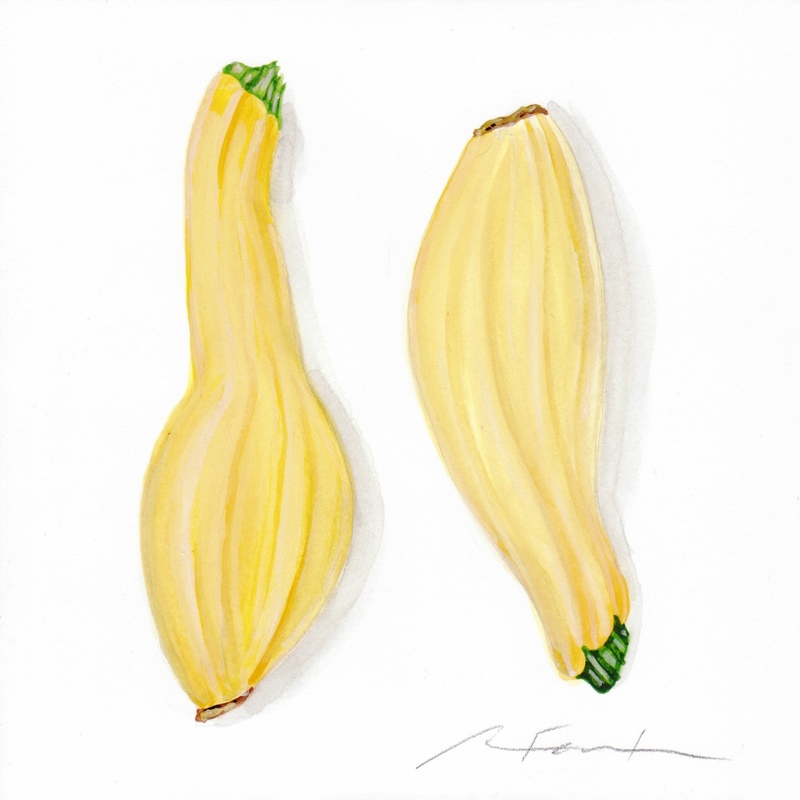 Angela Faustina, Yellow squash watercolor study, 2016. 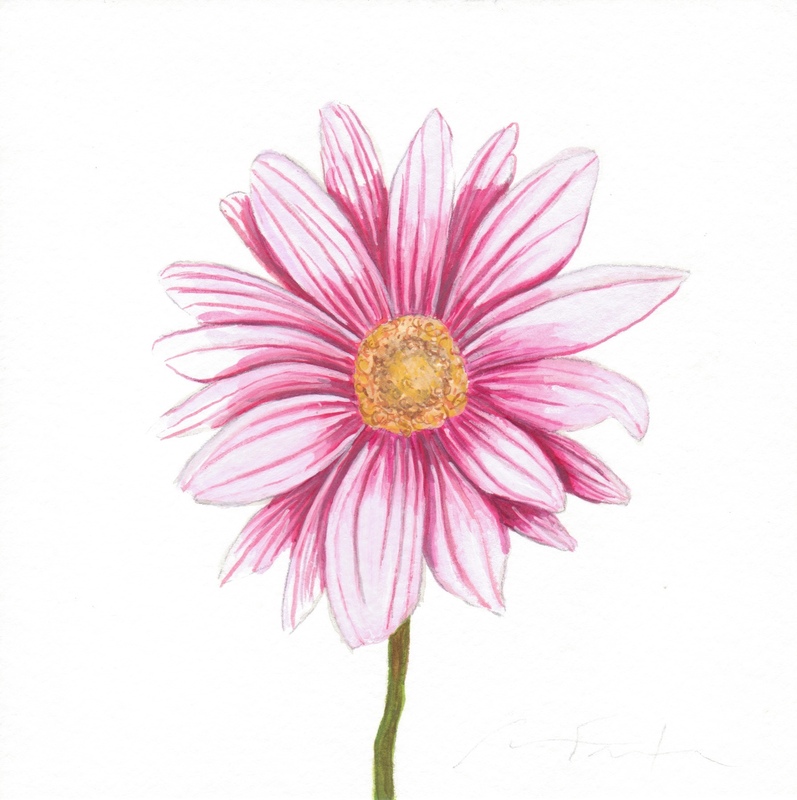 Watercolor on paper, 12″ by 9″. 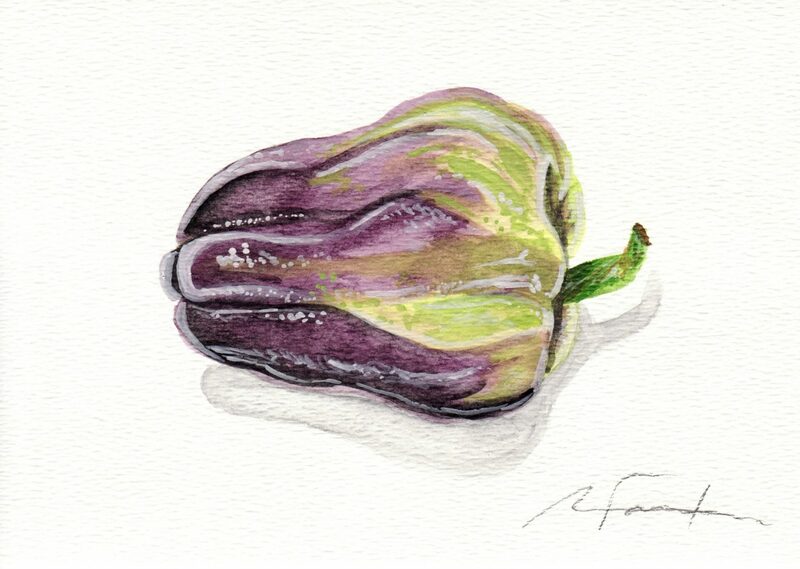 Angela Faustina, Purple Holland bell pepper study, 2016. Watercolor on paper, 7″ by 5″. Angela Faustina, Georgia peaches study, 2016. Watercolor on paper, 6″ by 6″. 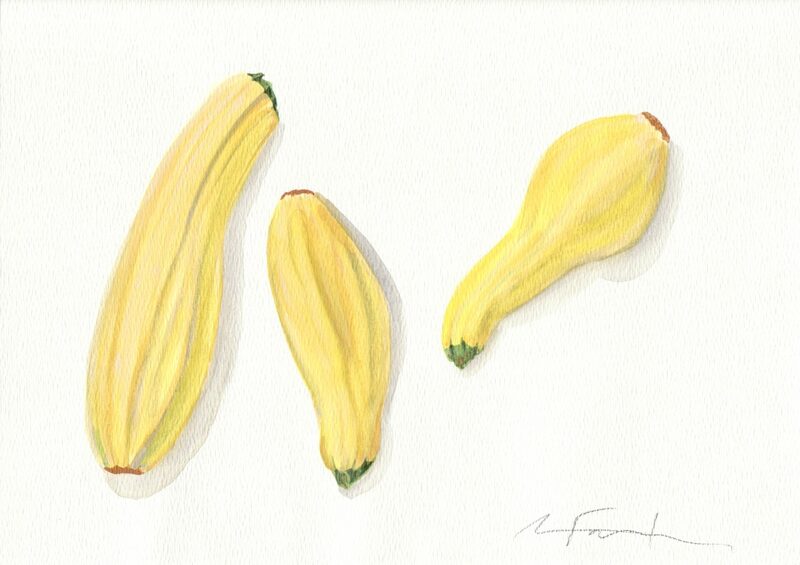 Angela Faustina, Yellow squash watercolor study, 2016. Watercolor on paper, 6″ by 6″. 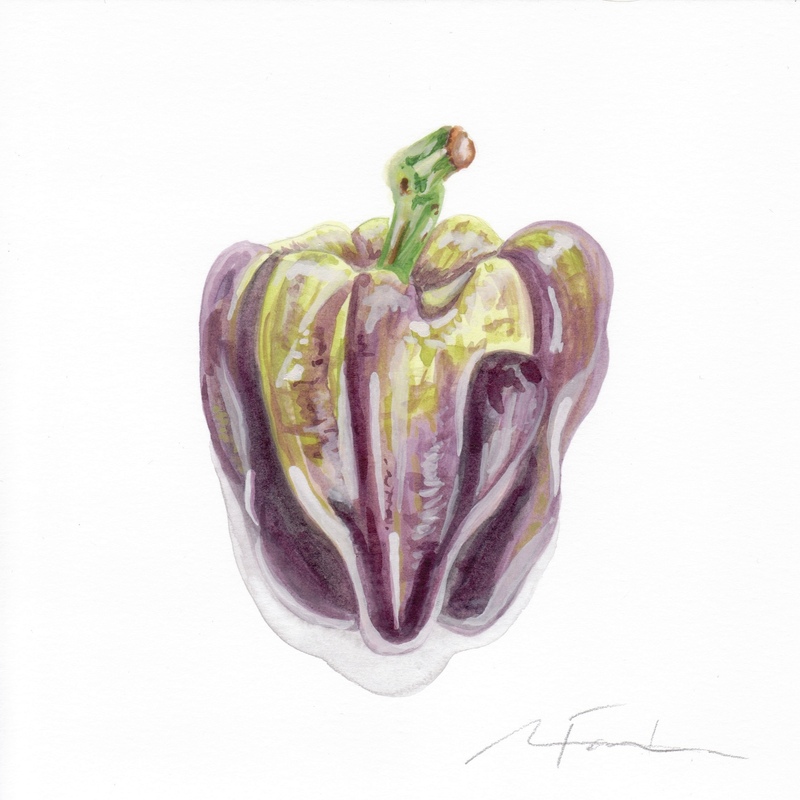 Angela Faustina, Purple Holland bell pepper study, 2016. Watercolor on paper, 6″ by 6″. 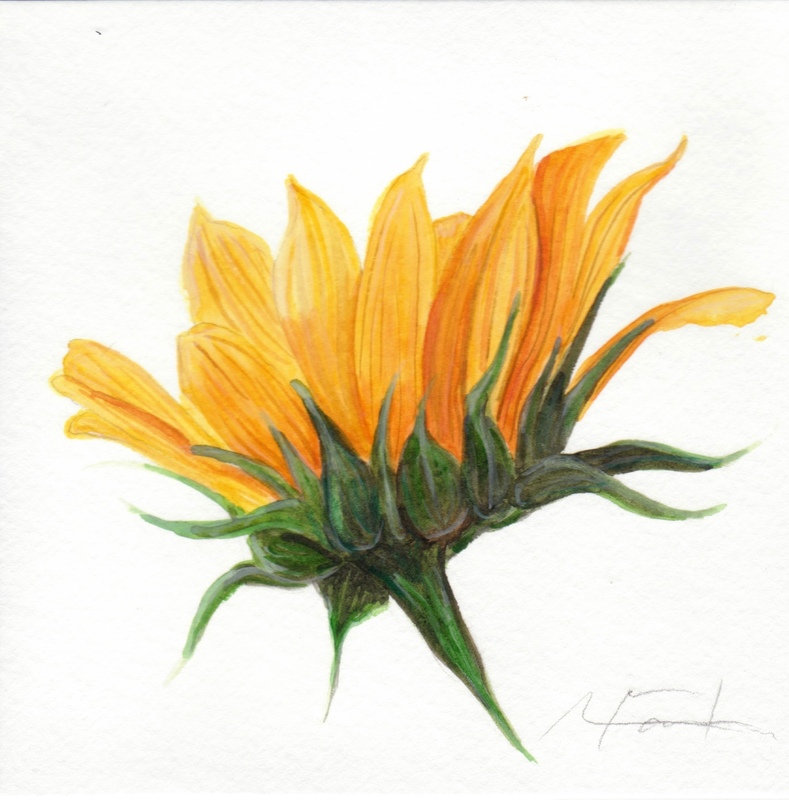 Angela Faustina, Sunflower VII study, 2016. Watercolor on paper, 6″ by 6″. Angela Faustina, Sunflower VI study, 2016. Watercolor on paper, 6″ by 6″. 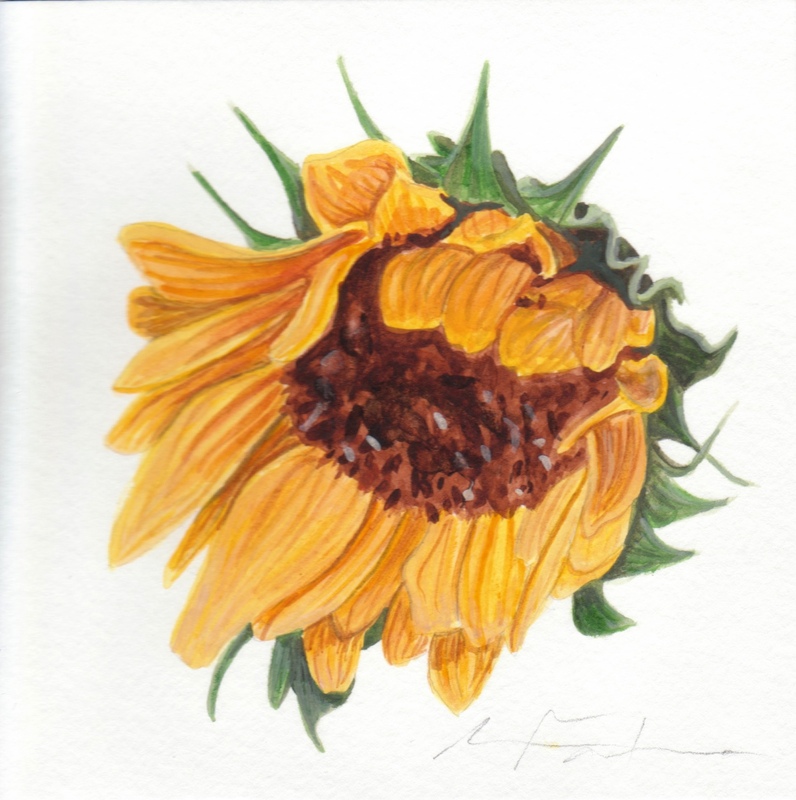 Angela Faustina, Sunflower V study, 2015. Watercolor on paper, 6″ by 6″. Private Collection. Angela Faustina, Lemon study, 2015. 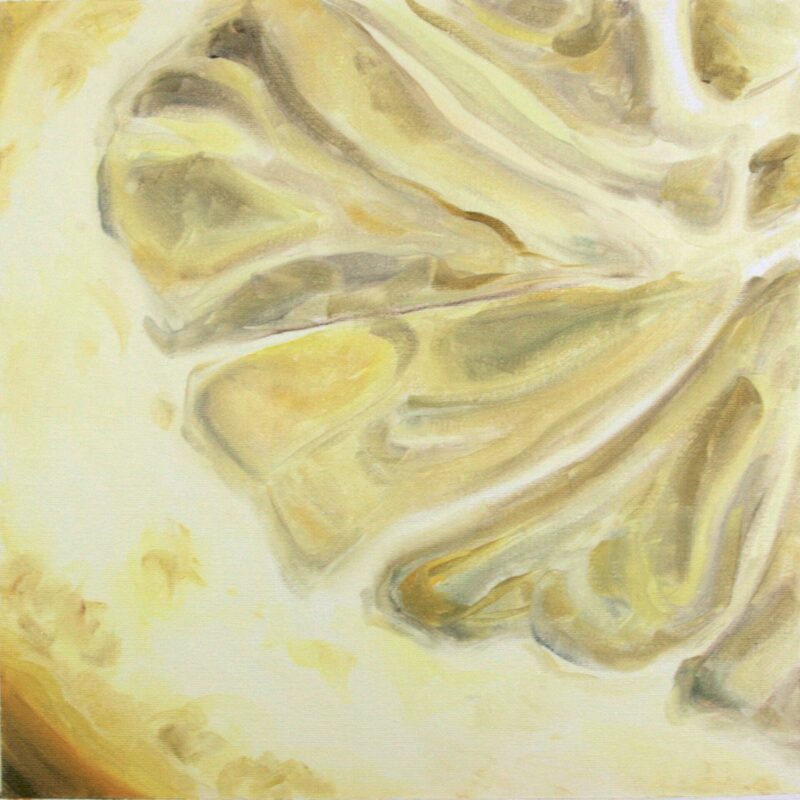 Oil on unstretched canvas, 12″ by 12″. 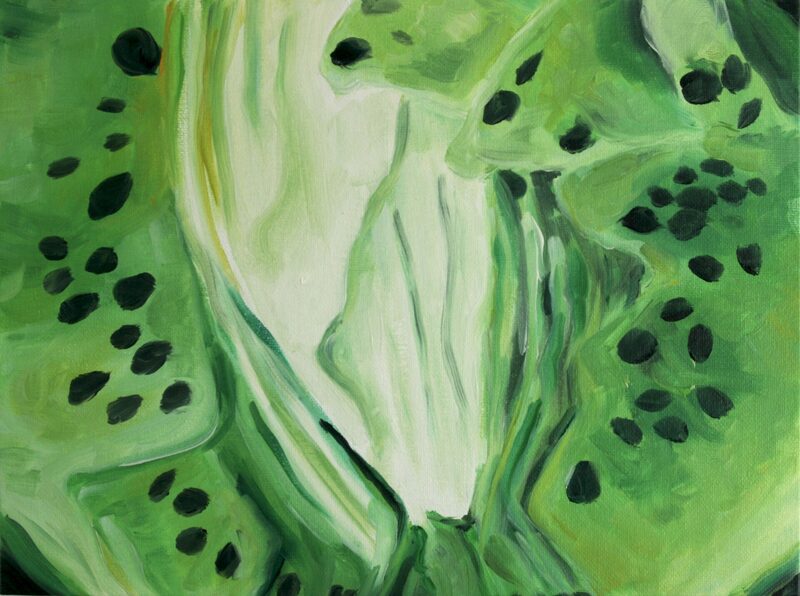 Angela Faustina, Kiwi study, 2015. Oil on canvas panel, 9″ by 12″. 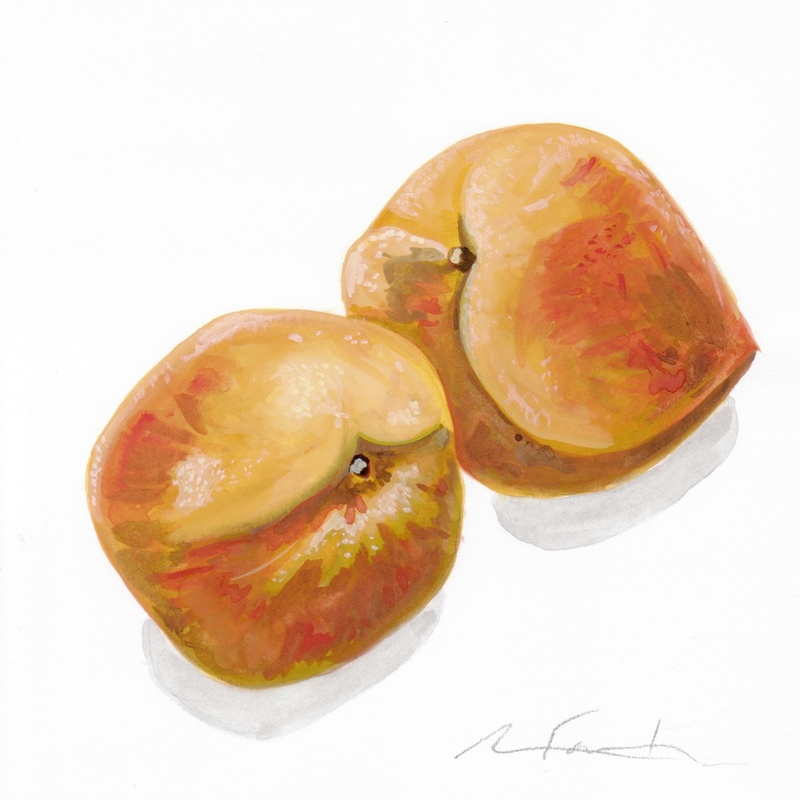 Angela Faustina, Georgia peaches study, 2016. Oil on canvas panel, 12″ by 9″. 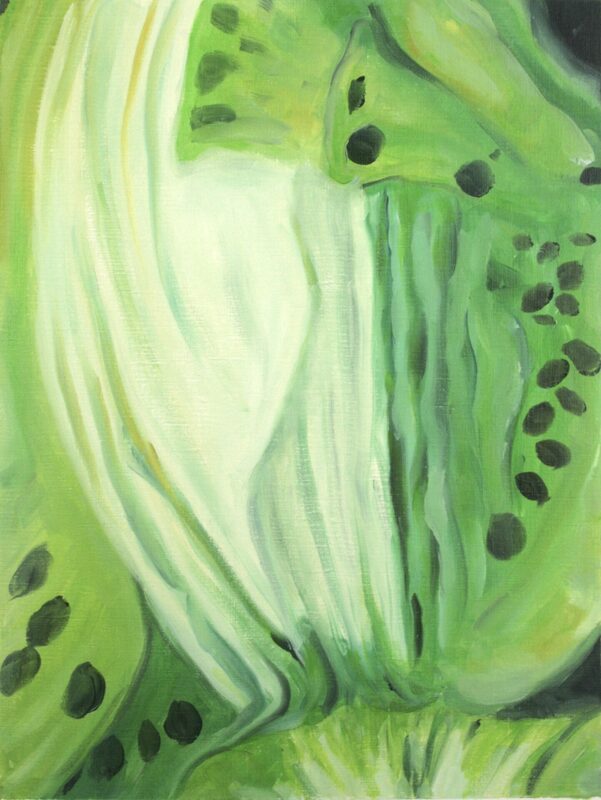 Angela Faustina, Kiwi study, 2015. Oil on canvas paper, 12″ by 16″. 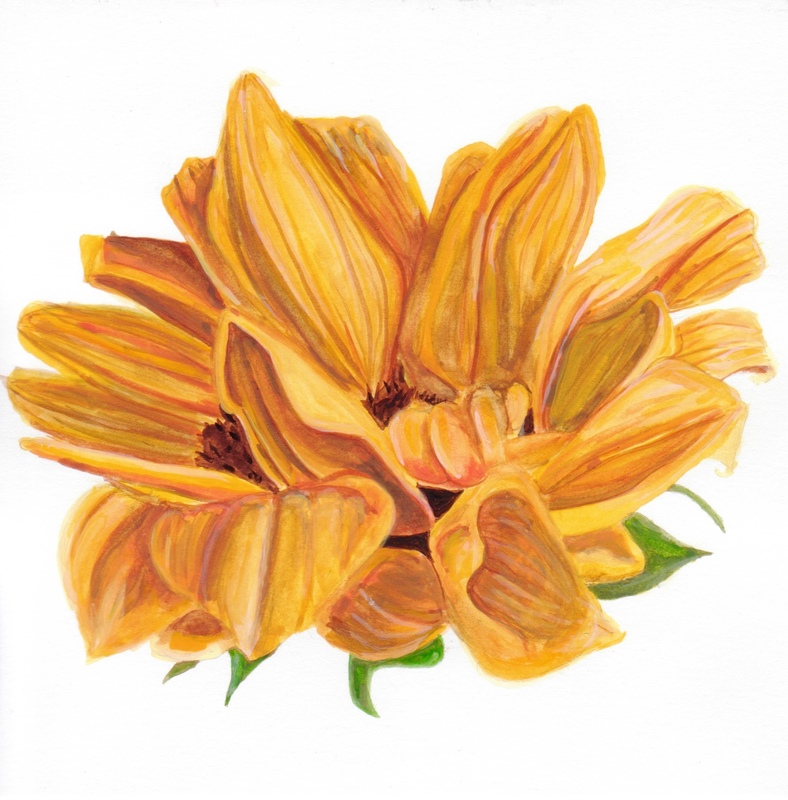 Angela Faustina, Sunflower IV study, 2015. Watercolor on paper, 6″ by 6″. Private Collection. 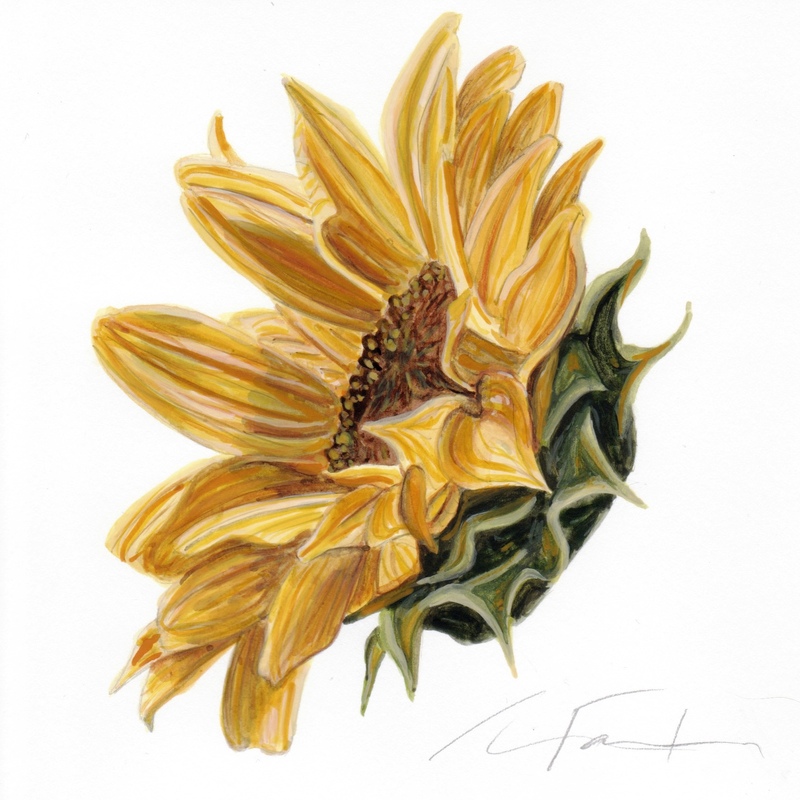 Angela Faustina, Sunflower III study, 2015. Watercolor on paper, 6″ by 6″. Private Collection. 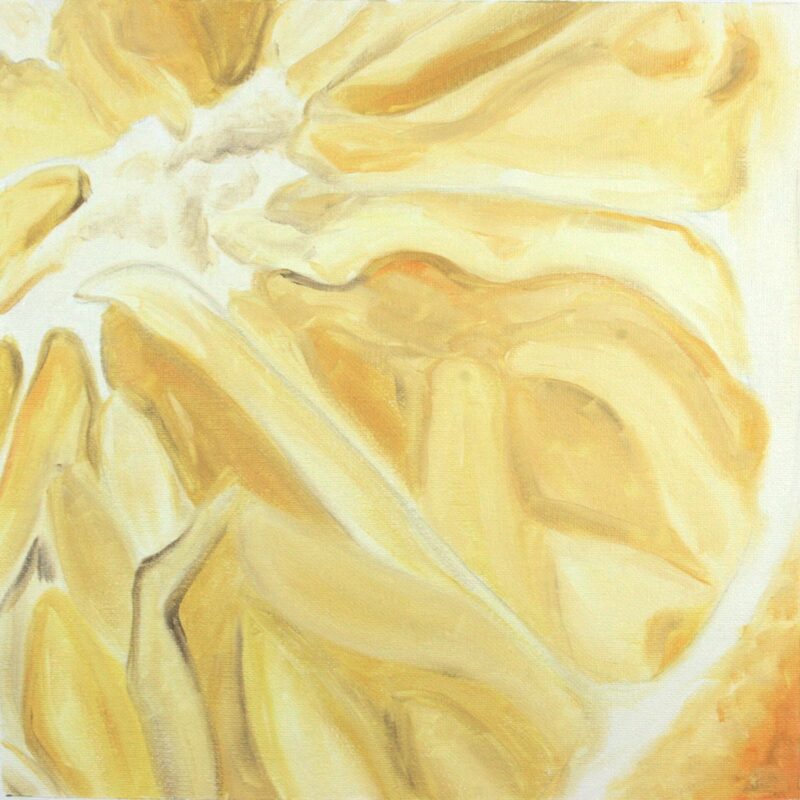 Angela Faustina, Lemon and Lemon Peel study, 2015. Watercolor on paper, 12″ by 9″. Private Collection. 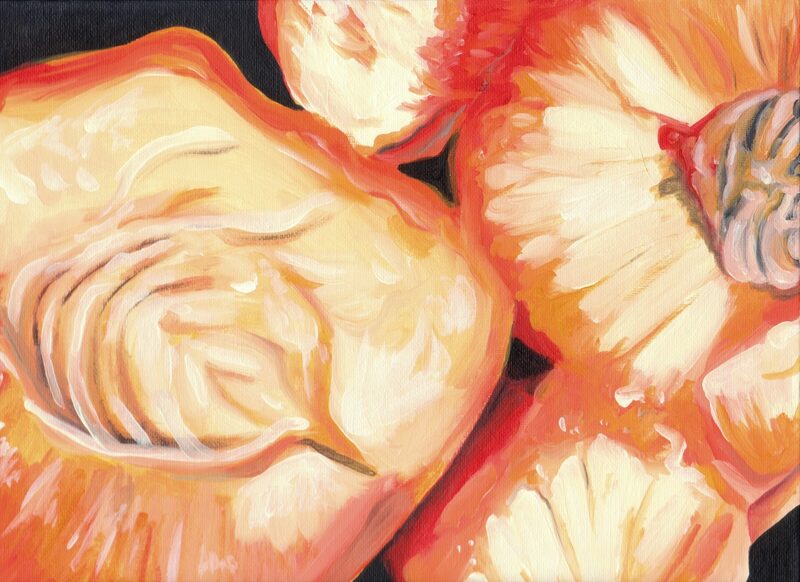 Angela Faustina, Blood Orange and Orange Peel study, 2015. 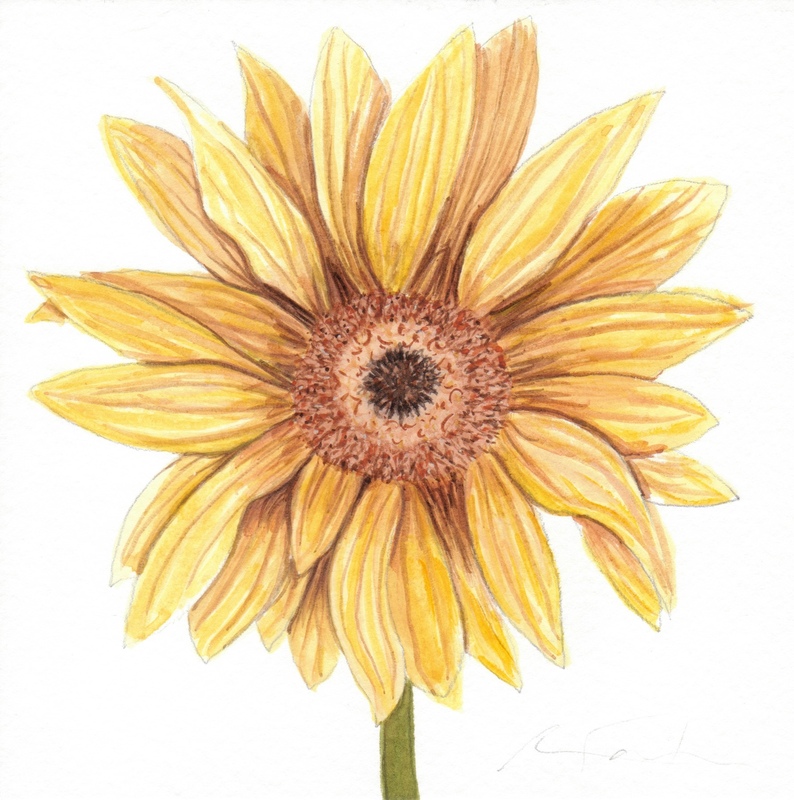 Watercolor on paper, 12″ by 9″. Private Collection. 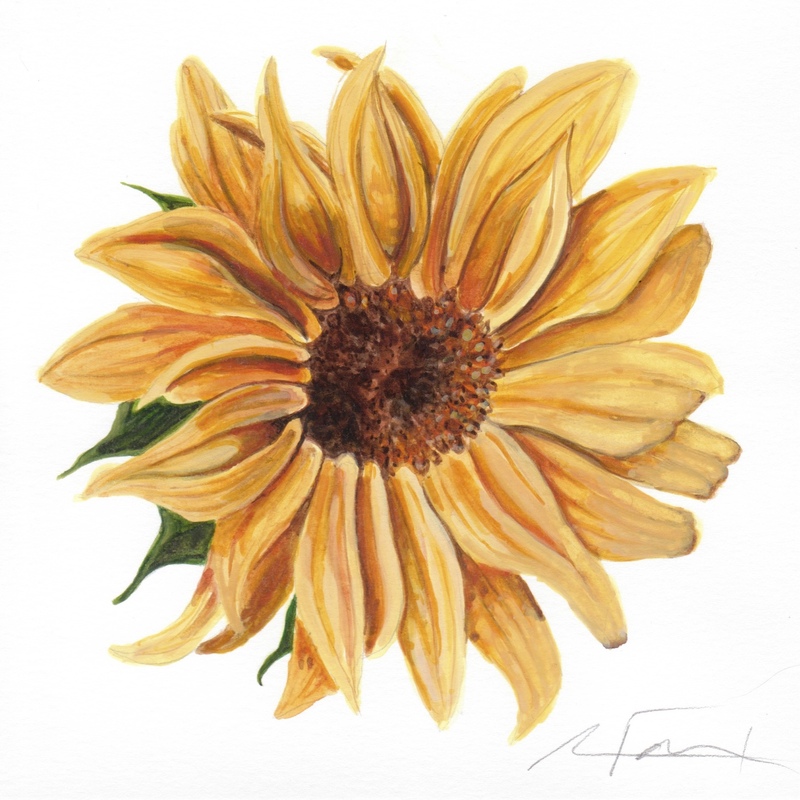 Angela Faustina, Sunflower II study, 2015. Watercolor on paper, 6″ by 6″. Private Collection. 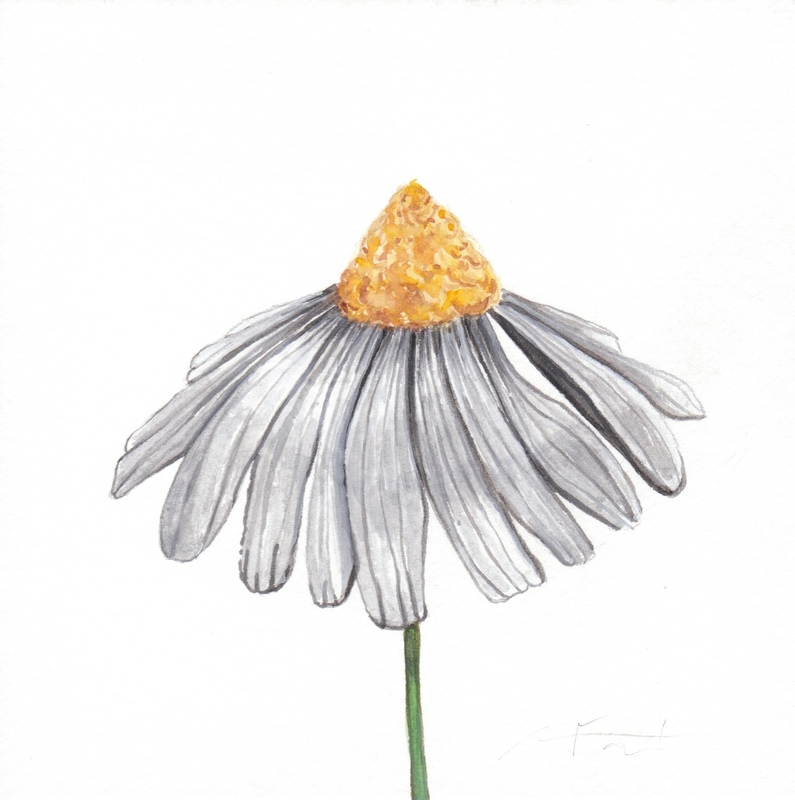 Angela Faustina, White Flower study, 2015. Watercolor on paper, 6″ by 6″. Private Collection. Angela Faustina, Sunflower I study, 2015. Watercolor on paper, 6″ by 6″. Private Collection. 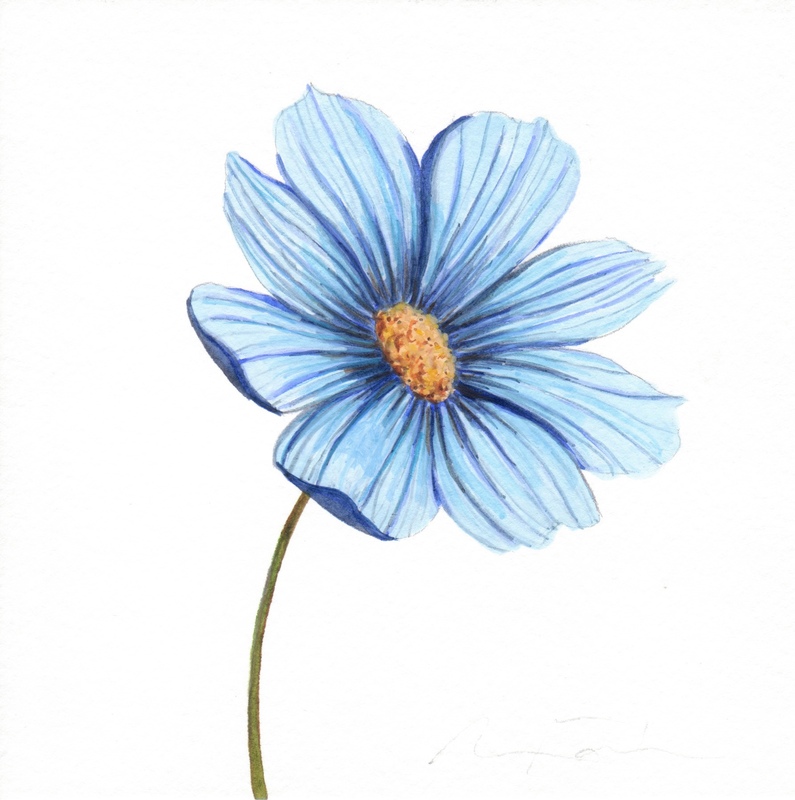 Angela Faustina, Blue Flower study, 2015. Watercolor on paper, 6″ by 6″. Angela Faustina, Pomegranate wash, 2013. 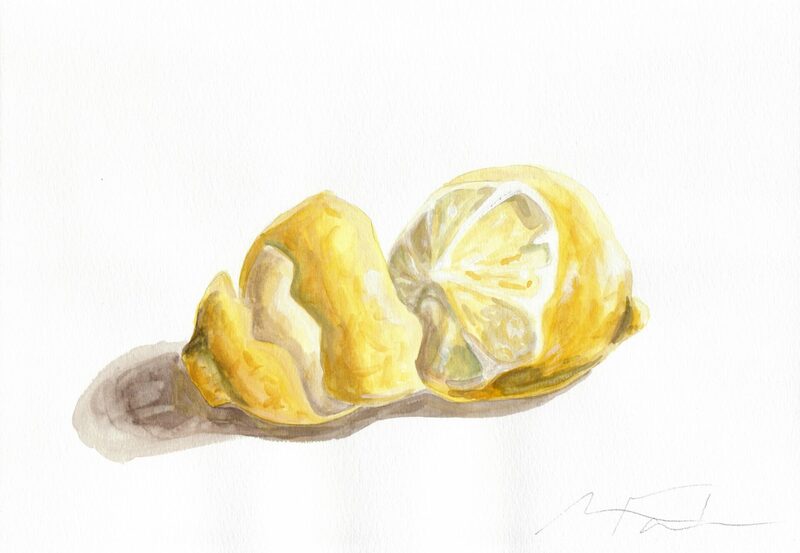 Watercolor on paper, 12″ by 9″. Private Collection.